Available in rolls, sheets, or even custom pieces up to 5 x 10ft. Acoustical mass loaded vinyl MLV “noise curtains” block out loud outdoor disturbances and provide soundproofing between interior living areas inside the recreational vehicle and mobile home. 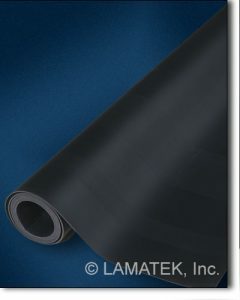 LAMATEK’s acoustic noise barrier is non-toxic and flame resistant. MLV is thin and flexible, making it convenient and easy to install in various areas of the camper’s interior. 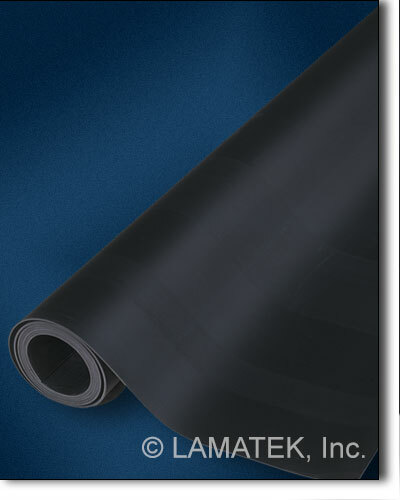 MLV soundproofing can be provided in full rolls, cut to length or even die cut to fit custom applications. Large format CNC cutting is available for custom pieces up to 5′ x 10′. Contact us today with your custom specifications. Other sound deadening solutions are limited by temperature and rigidity. There’s a reason they call it a noise “curtain”. MLV is a flexible, thin material that’s as convenient as it is durable. Contact us for samples and see for yourself.